Our goal: to bring you information about everything you need to enjoy living at Klinger Lake. Spring has arrived at Klinger Lake! Looking for information about Klinger Lake? Visit our Community Resource Guide where you'll find a fishing map and general information about the lake from the Michigan Department of Natural Resources (DNR). There are loads of things to do around our county! The White Pigeon Library has more than books! They sponsor lots of great activities for kids and adults. Don't miss out! Visit their website for more information. New in the Exchange are a beautiful Godfrey San Pan pontoon boat and a 14' Kona Cat sailboat. Looking for a good place to eat around Klinger Lake? We know a few! Check out our Dining Guide. Visit our Guide to Farm Markets and also our brand new page on Naturally Produced Food. We'll be adding more new listings in the near future too! Have you ever been to a library with a cat? Our own Nottawa Township Library is one of only 6 in Michigan to be part of the official library cat program. Caldecat is a real character! He loves to put on a show for kids and adults alike. 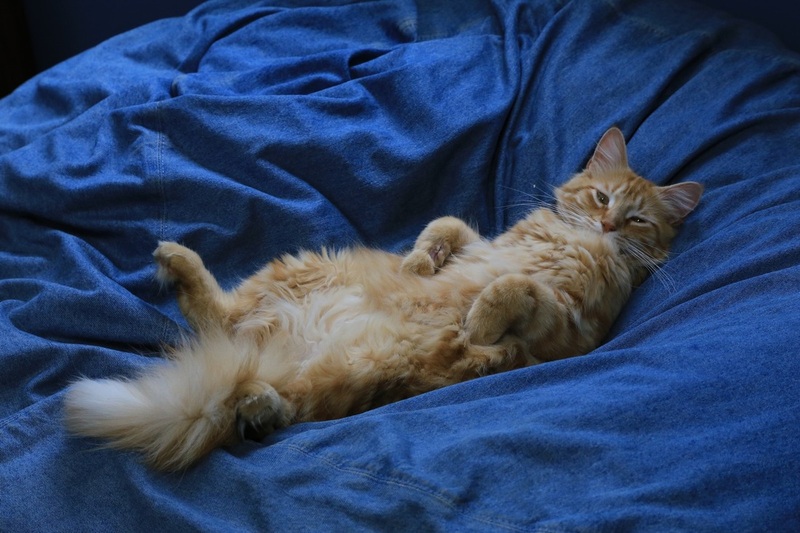 Here's a picture of him relaxing in the young adult book section. The Exchange section is under "Community" in the menu. We increased the font size on all pages to make everything easier to read on your mobile device (and laptop)! Our featured local business this month is the Tasty Nut Shop. The Tasty Nut Shop has been an iconic part of White Pigeon for almost 100 years! It originally opened in 1920. 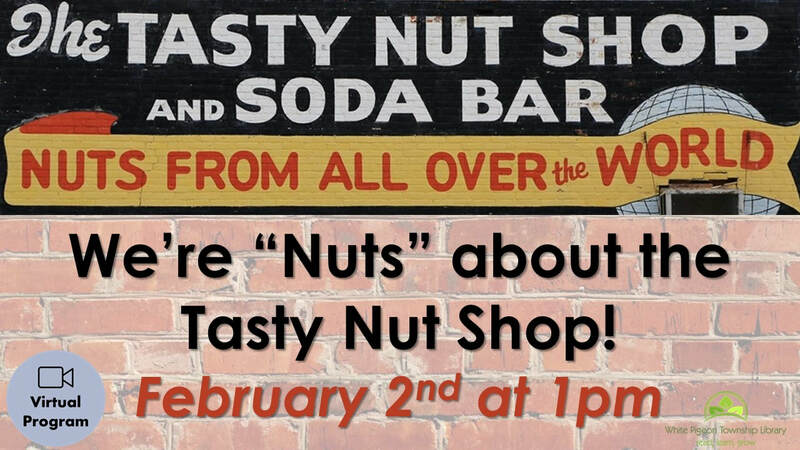 Stepping into the Tasty Nut Shop & Soda Bar is like stepping back in time. This quaint shop offers a little taste of history with its selection of fresh roasted nuts, candy, chocolates, and sodas. Visit the Tasty Nut Shop website for more information and photos.